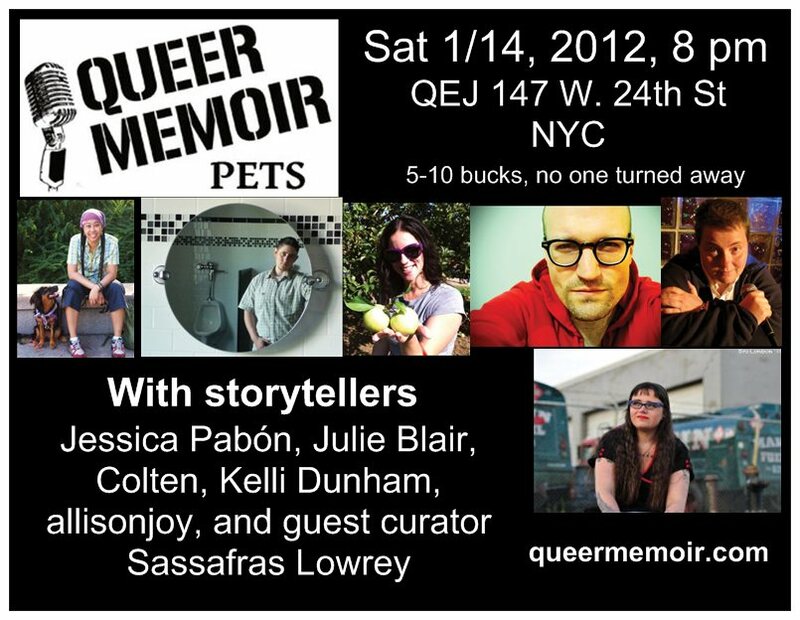 New York’s only queer storytelling event is back with a special guest curator, the amazing Sassafras Lowrey, editor of the Kicked Out anthology and nationally known storyteller. Jessica Pabón received her MA in Women’s Studies with the completion of the project “Girls Unchained,” a mural by Claw, Dona, Lady Pink, and Miss 17. Now ABD in Performance Studies NYU, her dissertation analyzes the strategies of resistance employed by female graffiti writers navigating presence and belonging in a male-dominated subculture. Julie Blair is a hack of all trades, a closeted musician, and ex-vlogger. She loves the internet so much she wants to live there. She works as a web developer, and runs a weekly drop-in internet development class that is 100% free for self-identified trans women. 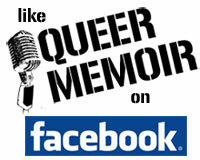 Kelli Dunham is everyone’s favorite ex nun genderqueer nerdcomic., She is busy promoting her CD recording show in San Francisco and will submit a relevant bio as soon as she’s done.